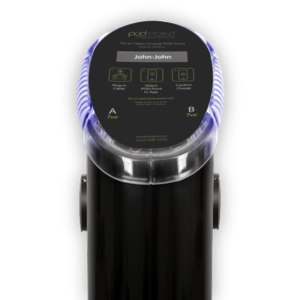 A new innovative product that solves your household power problems has teamed up with Australia and New Zealand’s large distributor just six months after making its market debut. Point Pod finally solves the problem of not having enough power outlets in your kitchen by hiding a pop-up unit beneath your stone or timber bench top. Brisbane builder-turned-entrepreneur, Cameron Singer, developed Point Pod after being frustrated with the limited options on the market. With a simple touch, Point Pod’s power points and USB sockets emerge for use. But unlike other power options, it blends seamlessly into your bench top, so it doesn’t comprise your aesthetics. The units are designed for any space where you would use power on a bench top, including the kitchen, bathroom, office and boardroom. After launching in August 2018, Point Pod has today announced its new partnership with Häfele, Australia and New Zealand’s biggest distributor. Mr Singer says he’s been overwhelmed by the industry’s positive response while showcasing his product at trade shows over the last six months. Point Pod is waterproof and robust and meets all Australian Standards as well as stringent in-house testing.